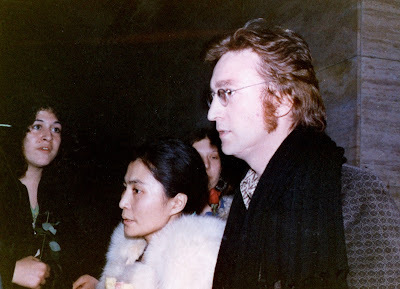 The look on the girl that is standing close to Yoko's face! She is shocked! Ooh, a "new" photo for me! So handsome! This was taken by Alice Tully Hall in NYC 10 January 1972 - I was sitting right behind them! !